AT&T customers using iPhone 4S will now see a 4G icon/symbol when the iPhone 4S is connected to a HSPA+ tower. This change was brought by Apple in iOS 5.1 after AT&T requested Apple to make the iPhone display a 4G icon when the phone is connected to a HSPA+ network. The iPhone 4S previously, in firmware below iOS 5.1, only display the 3G symbol even if the phone is connected to a HSPA+ network. Many people don’t consider HSPA+ as true 4G that’s what LTE is for, so instead AT&T should have display an H+ icon. Don’t freak out and start thinking that Apple made the iPhone 4S 4G capable with iOS 5.1 update. The ‘4G’ was always there on iPhone 4S, the only thing that changed was that it now display a 4G icon. When the iPhone connects to HSPA+ it should theoretically receive a download speed of up to 21 Mbps, that’s three times faster than 7.2 Mbp over 3G on a GSM network. 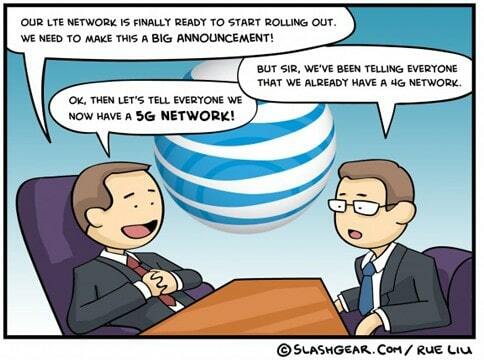 Perhaps that’s why AT&T consider it as 4G.